This autumn adventure offers a variety of family-friendly activities that showcase the best of Churchill: viewing incredible northern wildlife from an official Tundra Buggy® in the Churchill Wildlife Management Area, home to the world’s most accessible population of wild polar bears; racing through the boreal forest on a dog sledding excursion with a professional musher; learning about the wildlife, culture and people of the North with programming by Parks Canada and the Canadian Junior Rangers; and enjoying the unique opportunity for kids to become Citizen Scientists with experts from Polar Bears International. The Frontiers North Autumn Family Adventure is led by an Interpretive Guide and includes programming geared towards kids 12 and under, as well as elements that will thrill any age of traveller. Enthusiast Level: This is our most well-rounded level of departure, with a mixture of cultural and wildlife adventures with fewer people (maximum 38 people on this departure) than the Adventurer level. This level of tour is led by a professional Interpretive Guide and offers guests the ability to focus on their adventures - we'll take care of the little details. My family and I flew into Winnipeg today and we are so excited to go on this family-oriented Churchill polar bear tour! Tonight we're staying at the Four Points by Sheraton Hotel, which is just across the street from the Winnipeg airport. After checking in and having dinner in the hotel restaurant on our own, we head to an evening meet and greet held by our Frontiers North Interpretive Guide where our group has the chance to ask last minute questions and learn more about what our adventure holds. The kids can't stop talking about polar bears! Today we are going to Churchill! After a very early breakfast our tour group boards a warm bus for the short ride to the private hangar from where our plane will depart for Churchill. The flight is two and a half hours. Upon arrival, we head straight out on an interpretive transfer into Churchill led by a Frontiers North representative. 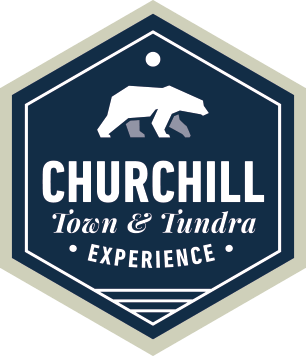 They point out areas of interest in and around Churchill and gives us some background on the town itself. We even had a stop at the Polar Bear Holding Facility (formerly known as the Polar Bear Jail). After, we head over to the Parks Canada Visitor Centre, which has in depth displays that reveal the remarkable history of Churchill through wildlife dioramas and exhibits that portray the history of the fur trade in the area. The educational and child focused programming was an amazing introduction to Churchill and this adventure. We take a break for lunch and enjoy a warm, home-cooked meal at one of Churchill’s family run restaurants – who knew Churchill had such incredible food? After lunch the group heads out for a dog sledding program with local dog musher Dave Daley of Wapusk Adventures. Dave regales us with his incredible dog sledding stories, introduces us to his dog pack and then takes each of the group on a mile-long dog sled ride through the boreal forest. The kids even got a chance to visit this season's puppies while we were waiting! After dog sledding, we head to our hotel where we have a chance to freshen up before enjoying a wonderful dinner. It’s our first day on a Tundra Buggy and the group can hardly contain their excitement. After breakfast we are picked up right from our hotel and transferred out to the Tundra Buggy Dock where we board our Tundra Buggy. After a safety speech from our Tundra Buggy Driver, we hit the trails and travel into the Churchill Wildlife Management Area (CWMA)! 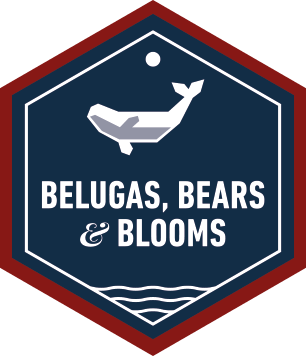 Our driver navigates the bumpy trails of the CWMA in search of polar bears and other subarctic wildlife while our Interpretive Guide shares interesting facts about the area’s geology and history. He even let my son use his binoculars! We enjoy a delicious picnic lunch right on the Tundra Buggy as we watch and photograph wildlife. At the end of an incredible first day on the tundra, we return to town for a warm dinner and relaxing evening with some fun family activities. What a great day! Today is our second and final Tundra Buggy excursion. Similar to yesterday, we are picked up at our hotel and transferred to the Tundra Buggy Dock. There is no need for a safety speech today, and we set out right away to search for polar bears. It is another great day on the tundra, full of extraordinary wildlife and many chances to get great photos. Once again we enjoy a picnic style lunch on the Tundra Buggy. It’s been a successful day on the tundra and our entire group celebrates our amazing luck to have been able to see polar bears in the wild. As our day comes to an end, so does our time in Churchill. We are transferred back to the Churchill airport for our return flight to Winnipeg. When we arrive in Winnipeg we check back in to the Four Points by Sheraton Hotel. The evening is ours to do as we wish, which means an early bedtime for the kids while we review photos from our trip. It's time to head home. This was an amazing adventure our kids will never forget. Not only was it an incredible fun vacation for them, but also a really great learning experience for all of us. We definitely plan on returning to Churchill again in the future. Guests may depart Winnipeg at their leisure. Meals: None. All prices, inclusions, and dates may be subject to change due to circumstances beyond our control. *Child rate applies to a traveller 12 years and under at the time of travel.